#Buzzfeed, Thanks for the Love! ECOBAGS® featured in #buzzfeed. How cool is that! 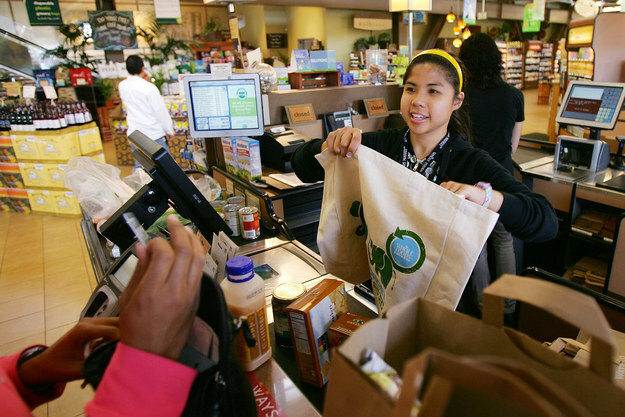 Hey, Whole Foods – carry more ECOBAGS®! BUZZ FEED SLIDE # 17: Finally, Whole Foods stopped offering plastic grocery bags on Earth Day 2008. The company saved 150 million bags in roughly the first year after. #buzzfeed features WFM Branded ECOBAGS® Totes! Want a graphic bag like this? Check out what we have in our store. Did you know all ECOBAGS® products are: sourced sustainably, produced responsibly, washable, last up to ten years and, are 100% recyclable as a textile (when they finally wear out).